This was a residential fire of a single story ranch style home that suffered significant wind damage. 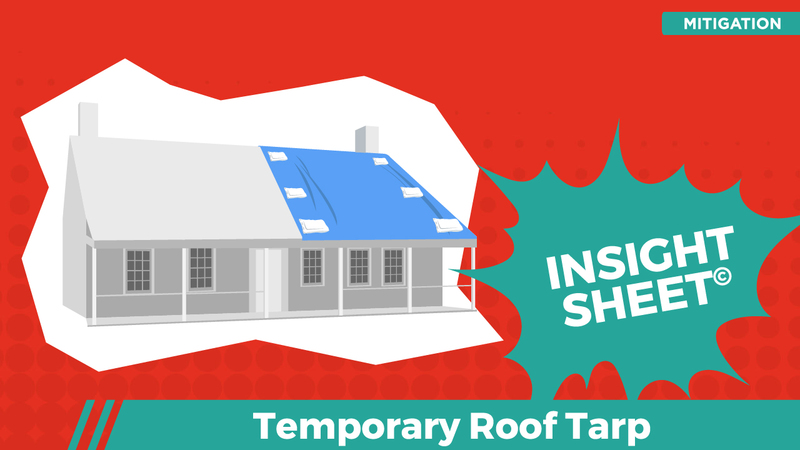 We intend to explore the activities associated with tarping the roof as there was a 5′ x 5′ section of the roof stripped of its 3-tab asphalt tiles, exposing the compromised roofing felt below. Unlike most Insight Sheets, we intend to outline a fairly straight forward scenario, devoid of additional nuances e.g., second stories, high slope roof etc. If this loss was multiple stories, displayed a high pitch roof and/or incorporated clay tile shingles (or alike), substantially different concessions would be required. 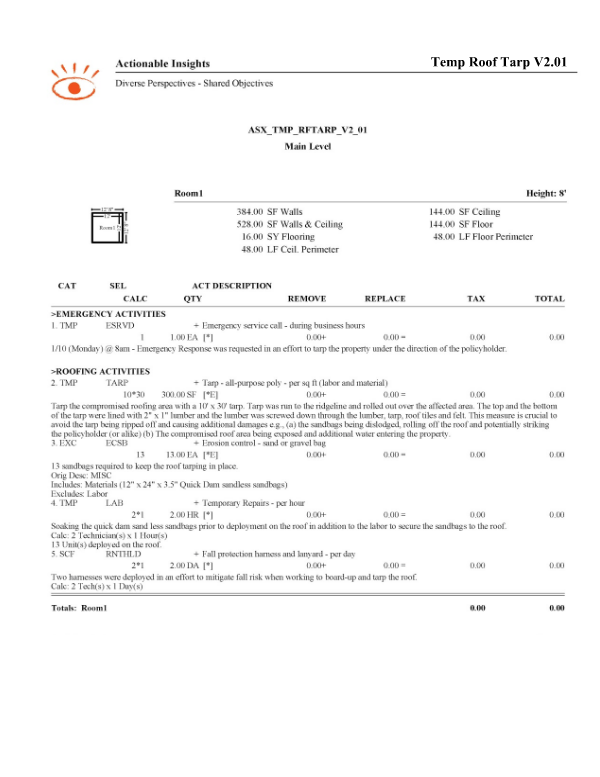 This Insight Sheet exists to clarify how one might invoice for a temporary roof tarp. This does not seek to include or make concessions for all equipment and/or activities as it relates to a loss of this nature. Yes - this is especially common in the Pacific Southwest where tile/clay roofing is prevalent. this osha line item is not the proper section from osha (1926.451 is for scaffolding). if you are referring to roofing you would want to use OSHA 1926.501. and change the 10' to 6'. Additional info: "up to the estimator and parties involved to determine whether this item is needed in a particular job" its not up to the estimator...Its a FEDERAL requirements to have on a job site. You are probably correct, let me review and make revisions accordingly. This is what the comments sections are for! Thank you!